I quoted the article below about the new La Habana Hotel, Cuba’s first 5 star hotel, back in June. Since then my son and I have been back to Havana a and took the photo below from Parque Central. 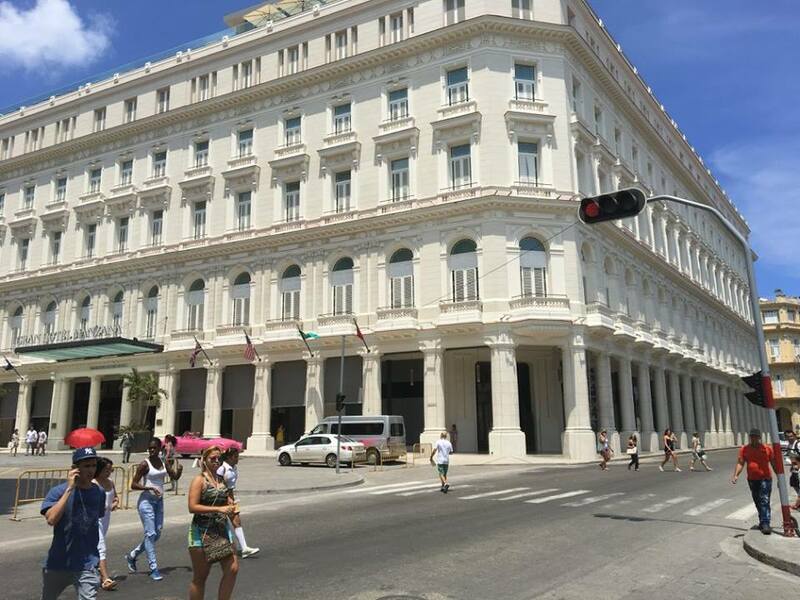 I quote from the original article here..
Starwood was first to re-enter Cuba with their Four Points Havana last June and the company was also aiming to be first to market with a new 5-star property – the Luxury Collection remodel of the Gran Caribe Hotel Inglaterra. However, consistent delays have left that project with a remodel date “to be determined”. Well, Kempinski has now beat Starwood to market with the first new 5 star hotel in the country – Gran Hotel Manzana Kempinski La Habana. The hotel will officially open this week on June 7th. Originally built between 1894 and 1917 as the first European style shopping arcade in Cuba, Gran Hotel Manzana Kempinski La Habana is situated atop of one of the remaining sections of Havana’s nearly 350-year-old colonial-era wall with a direct view of the Capitol and the Great Theater of Havana amidst UNESCO World Heritage sites. The hotel features 246 large rooms or suites with extra high ceilings and French windows opening out to the old city. A cigar lounge, a roof top panoramic restaurant and bar with views of the old city, a spa, fitness center, and rooftop pool round-out the property’s offerings.